Alien Bee: Drafthouse Films' THE FP To Screen Nationwide Through Tugg, Inc.
Drafthouse Films' THE FP To Screen Nationwide Through Tugg, Inc. Fans who have been waiting anxiously to watch Drafthouse Films' THE FP will now get their chance thanks to Tugg, Inc. Read on below. AUSTIN, TX - March 9, 2011 - At the 2012 SXSW Film Festival today, Drafthouse Films announced THE FP is available to screen in cities nationwide through Tugg, Inc. ("Tugg"), a collective action web platform that enables moviegoers to choose the films that play in their local theaters. Starting today, fans can sign up to bring THE FP (http://tugg.com/thefp) to their theater to share this manic, warped, ambitious, hilarious and utterly original vision of a dystopian world where turf battles are settled by the competitive dance video game "Beat Beat Revelation." THE FP will be available through Tugg in conjunction with its theatrical release in select cities Friday, March 16. THE FP took SXSW 2011 by storm with its World Premiere at SXFantastic, programmed by Fantastic Fest. 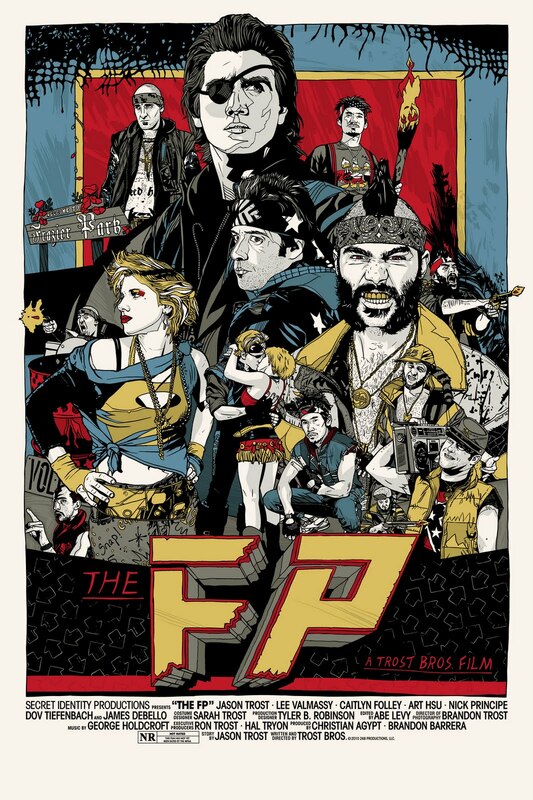 A ferocious nod to big-budget studio action fare and underdog sports dramas of the 1980s, THE FP is a loving homage to everything from ROCKY IV to THE WARRIORS and has been called "loud, furious & recklessly funny" (Indiewire) and "vulgar, hilarious and kind of amazing... THE FP is a certifiably insane experience" (Movies.com). "Tugg provides a platform for sharing THE FP in a way that we always imagined it should be experienced - with a group of friends and fellow film fans that got together to see it in the theater because one of them heard about this batsh*t insane film about deadly competitive dance video games that is fashioned after the 80s films we love. We're thrilled that audiences everywhere, including the Frazier Parks of the world, will have the chance to bring this film to their theater by demand," said Jason Trost, Co-Director/Writer/Star. 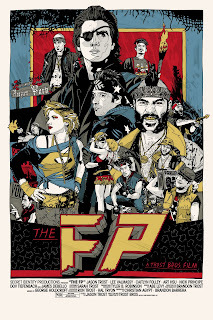 "THE FP is a film that was made to be experienced communally with a big group howling together at the unhinged fun this film offers. We couldn't be more excited to give fans a chance to craft that kind of experience at the theater through Tugg's innovative platform," said Drafthouse Films CEO Tim League. Drafthouse Films, the distribution arm of Alamo Drafthouse, debuted in 2010 with the theatrical release of FOUR LIONS and was named one of Time Magazine's "Top 10 Films Of The Year." Drafthouse Films is dedicated to scouring the globe in search of visionary, provocative and diverse features to integrate into the ever-growing Alamo Drafthouse entertainment lifestyle brand, which along with the Alamo Drafthouse Cinemas includes: Mondo, the collectible art boutique; Fantastic Fest, the largest international genre film festival in the US; and the pop culture website Badass Digest. Drafthouse Films will distribute films theatrically and through home video, VOD and direct to consumer sales. The 2012 release slate includes the stunning HD RealDTM restoration of '80s cult western COMIN' AT YA! 3D, Michael R. Roskam's debut feature film and Best Foreign Language Film Academy Award-nominee BULLHEAD, Mikkel Nørgaard's internationally acclaimed comedy CLOWN, and SXSW '11 favorite THE FP which Moviefone calls, "a rare ready-made cult hit." Together with producing partners Magnolia Pictures and Timpson Films, Drafthouse Films is also currently in production on the much-anticipated THE ABC's OF DEATH -- an anthology film featuring segments by 26 different directors that Fangoria calls, "a stunning roll call of some of the most exciting names in horror across the world. Tugg, Inc. ("Tugg") is a collective action web-platform that enables individuals to choose the films that play in their local theaters. Through Tugg, individuals are empowered to select a film, screening time, and nearby theater, and then spread the word to their immediate and online community. Once a necessary amount of people commit to attending, the event will be confirmed, and Tugg will reserve the theater, manage ticketing and ensure delivery of the film; allowing the audience to sit back and enjoy the show. Tugg is currently working with exhibitors Alamo Drafthouse Cinema, AMC Theatres, Bow Tie Cinemas, Cinemark Theatres, Goodrich Quality Cinemas, Rave Cinemas and Regal Cinemas, and will be expanding it's exhibitor offerings in the coming weeks. These exhibitors will provide theatrical venues for individually curated events showcasing Tugg's growing library of hundreds of studio and independent films.